We're thrilled that author and translator Michael Kandel will be a featured speaker at Readercon this week! A prolific writer and editor, Kandel will talk about Russian SF and the Polish sci-fi master Marek S. Huberath, whose Nest of WorldsKandel translated for Restless Books. Readercon is an annual convention devoted to "imaginative literature" of all varieties. It draws authors, editors, and readers from around the world. Thanks to the work of translators like Kandel, sci-fi novels from far-off places in this world are becoming available to a wider, global readership. In honor of that effort, we've created a list of must-read, international science fiction. Even if you can't get to Readercon, grab one of these great sci-fi reads and let your imagination run wild! Luiz Bras doesn’t exist. It is the pseudonym of Nelson de Oliveira, an award-winning Brazilian writer who became Luiz Bras when he took up the sci-fi genre. 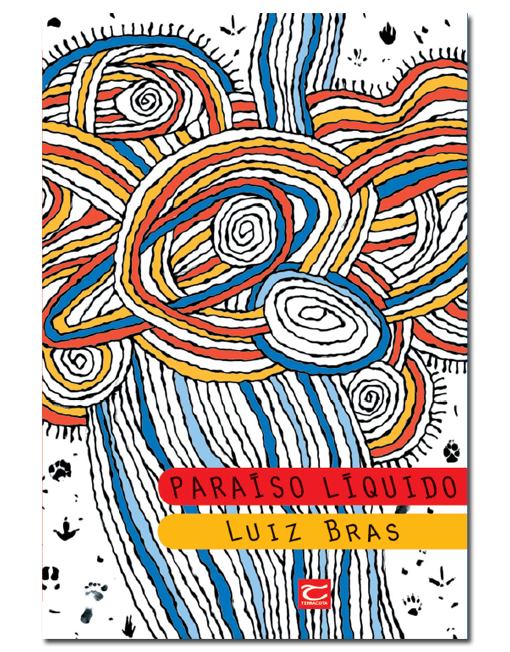 Paraíso Liquido is a collection of short stories, considered to be one of the best contemporary Brazilian Science Fiction collections. A Brazilian sci-fi writer who is also a science journalist, Orsi’s Guerra Justa is a story of cyberpunk conspiracy set in post-apocalyptic earth featuring the Pontifica Cult, a religious sect that rules the world through a dangerous mix of violence and benevolence. Dark sci-fi from the Czech Republic set in a society after Germany triumphs in WWII, this is widely considered to be one of the best European science fiction novels of the decade. Yoss is the penname of José Miguel Sánchez Gómez, known for his unflinching portrait of life in Cuba under Communism. Influenced by the transformation of Cuba in the 90s, after the dissolution of the Warsaw Pact, A Planet for Rent is a the English debut of one of the most powerful voices in Latin American science fiction today. Thanks to Seven Stories Press, Icelandic author Andri Magnason's LoveStar is now available in English. Both a romance and a satire of modern corporate control, in this world “howlers” pay back debts by impulsively shouting ads to passersby and the dead are no longer buried, but shot through the atmosphere like shooting stars. A tender love story set in a world where any second might lead to annihilation by falling coffin or consumption by a ferocious mutant Mickey Mouse, LoveStar is a must-read for fans of literary science fiction. In this dystopian story, Polish author Marek Huberath describes a world where the inhabitants are forced to move to a new “Land” every thirty-five years, and each land is a rigid caste society based on hair color. Addressing moral and philosophical issues, the story is a mysterious adventure that explores the space between love and the darkest aspects of human nature.